In the workout world it is most definitely not one-size-fits-all. Even when you compare figuring things out for men and women there are a great number of differences. Body composition for men is often simplified into three basic types; but those aren’t the same for women. Just like the way fat is deposited differently for women compared to men there are also different types of general body composition. We are here to break it down for you so not only can you find the type of body you have but also get a few good ideas on the best way to train based on that type. To be fair, you will not have the same body type your entire life. Women, much more so then men, are prone to more changes of body type because of lifestyle, hormones, and pregnancy. While you might look at family members to gain some insight in how your body might change, nothing is set in stone because genetically there will be differences. The bright side is that you can also affect change on how you look. It is possible to change from one shape to another and plenty of women have successfully done just that. While it does take a certain amount of hard work and dedication, so do most things in life. The “A” Frame – This is the classic narrow shoulders, small chest, and wide hips look where extra weight is carried around the middle (front and back). 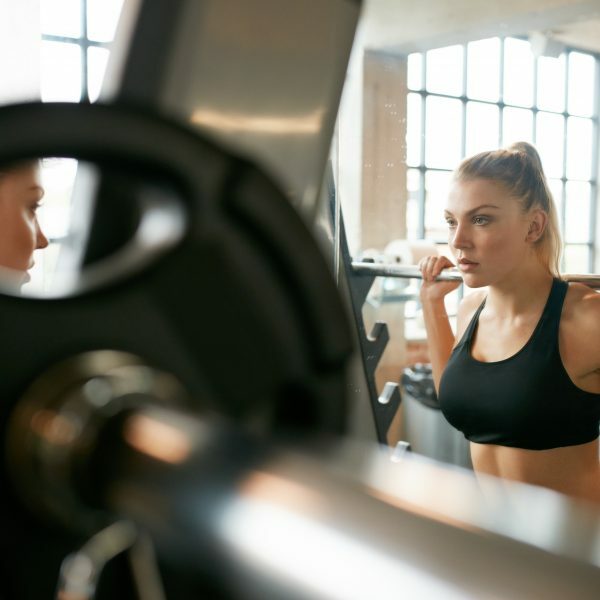 With that in mind you need to focus on building the muscles of the shoulders and upper back to balance out the body as well as work towards lower body toning and general fat loss. Heavy weight exercises should be done for shoulder presses, side lateral, rear laterals, pull downs, and machine rows. High repetition squats, lunges, and leg curls should be done in conjunction with a solid abdominal/core routine. Cardio such as walking, running, or elliptical work will help with fat loss. The “V” Frame – This is more naturally sought after because of the wider shoulders tapering to a narrow waist. However there can be cases of the lower body being out of balance to the upper. To combat this cardio should be focus on stair-climbing and cycling. In addition extra focus should be made to the legs and abdominals with heavier weight routines. Squats and lunges are excellent choices to help develop the lower curves the “V” frame is often missing. The “H” Frame – This body type suffers a bit from a narrow look from top to bottom that lack curves. To adjust that the shoulders, back, hips, and legs need additional focus by combining elements from the “A” frame and “V” frame routines. Cardio is typically less necessary whereas adding additional muscle for curves is more of the focus. But all types of cardio are great. The Hourglass – Well aren’t you lucky! Really this is the body type most people prefer so it should be a combined program that balances cardio and weight training for overall toning and health. The world is your oyster! The Pear – Typically this body type accumulates weight in the front but has thinner arms and legs. Cardio is the first key to reduce excess weight stored in the front of the body. The focus in the weight room should be the arms and shoulders as well as the legs to balance out the entire body more evenly. While the torso should be trained as well, it should be more for toning of the core, chest, and back. Walking, running, and other high calorie burn options are best for cardio.